Having trouble deciding between kittens or “Calvin and Hobbes” for your 2014 calendar? Fret no more, because I have just the calendar for you: the Nice Jewish Guys Calendar features 12 adorable guys from across the country. And even though spring seems far away right now, this week I chatted with Mr. May, Boston’s own Jason Horowitz. Tell me about the calendar. What’s it about? How did you become involved? 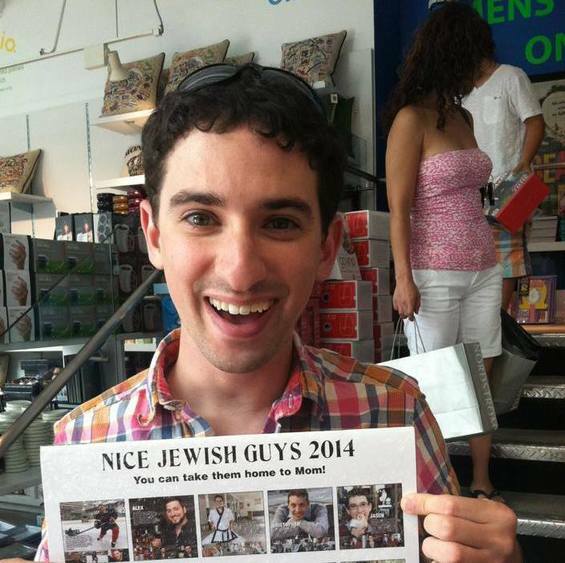 The calendar features 12 Jewish men from across the country, chosen by the staff at Nice Jewish Guys. It’s a great way to show everyone out there that nice Jewish guys actually do exist! 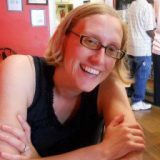 I became involved because of my wonderful co-worker Courtney. She gets the calendar every winter and suggested that I send in some photos and a bio for the 2014 calendar. A few weeks later I received an email from Nice Jewish Guys letting me know that they wanted to set up a photo shoot with me! A few months after that, the calendar arrived, and I was officially Mr. May. As an ambassador for the young adult Jewish community, what’s a must-do for people visiting Boston this winter? Boston has so much to offer during the year, which is what makes it such a great city. If you happen to be in Boston over the winter, a must-do is ice skating at the Boston Common Frog Pond. If ice skating isn’t your thing, then I recommend taking a tour of the Taza Chocolate factory in Somerville, where you can drink some delicious hot chocolate. Or have a nice Winter Lager at the Samuel Adams Brewery in Jamaica Plain. You’re on your way to Israel. Are you going as part of a group? I’m traveling to Israel with my organization, The David Project. I am helping lead a 10-day trip for 33 college students from across the country. Each school sends three to four students. Of those, one student is a pro-Israel leader and the other two to three students are non-Jewish campus leaders. It’s a great way for students who wouldn’t normally travel to Israel to see its beauty and complexity. How many copies of the calendar has your mother bought for all of her friends? My wonderful mother bought six copies of the calendar and has been very picky as to whom she gives it to! Luckily, I also have a ton of friends who have bought the calendar. It’s been great to see how supportive and excited everyone is about the calendar and me being in it! *Top photo of Jason with the calendar at Urban Outfitters, where you can buy it locally.